Our vision for economic success depends on the sustainable growth of Gatwick airport. The reach and importance of the airport gives our area a unique set of opportunities and strengths on which to build our future economy. A vibrant and successful airport is essential for our competitiveness, and will allow us to attract businesses from London and elsewhere to base themselves here. Gatwick is key to attracting investment, driving exports to global markets and nurturing innovation across our different economic sectors. A stronger industrial base in our area, based around the airport, will spread to the coastal and rural economy. It is in our area’s interest for Gatwick to expand its route network. More flights beyond European markets, including freight as well as passenger transit, bigger planes to increase capacity and continued innovation in the aviation industry will support the Coast to Capital and wider South East economy. Expansion should not be at the expense of the environment. Maintaining or reducing the levels of noise and air pollution generated by the airport are essential to its role within our area. Gatwick has a strong track record in meeting all air quality standards and noise issues overseen by an independent noise management board. Gatwick airport is the single biggest driver of economic growth in the area, accounting for £2.7 billion of economic activity in our area. Its influence is especially important to the M23 corridor. In Brighton, Gatwick’s connectivity and the city’s lifestyle attractions have helped an international digital and creative cluster to develop, capable of drawing global talent. In Croydon, Gatwick’s links are vital in attracting employers and investment, supporting ambitious new office, retail and leisure developments. Improved infrastructure and business links to Gatwick will raise the investment profile of coastal places, such as Newhaven, Littlehampton and Bognor Regis. 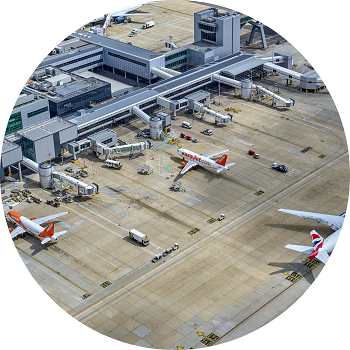 We are encouraging the planning and strategic authorities around Gatwick to cooperate and collaborate in maximising the economic potential of the site. The airport sits close to the boundaries of six local planning authorities and two county councils and it is also a key factor in national strategic investment decisions by Network Rail and Highways England. The airport itself is a major investor in infrastructure. The excellent public transport and road connectivity for the airport, and the lack of planning constraints on much of the land around it, make it an ideal anchor for further development of business space and housing, both of which are in acute demand in our area. This is not just true for Crawley, which has benefitted for decades from the growth of the airport, but for other places close to the airport.